By Sue Vogt, DHS Trustee and President-elect of the Western Hills Garden Club. A view of the garden from the street. In 1990 the Delhi Historical Society acquired the Witterstaetter Homestead, the present-day site of the Farmhouse Museum. Since the family had grown flowers in greenhouses on the property for many years for sale in downtown Cincinnati, the board of the Historical Society felt that the Farmhouse Museum deserved a garden that reflected that tradition. 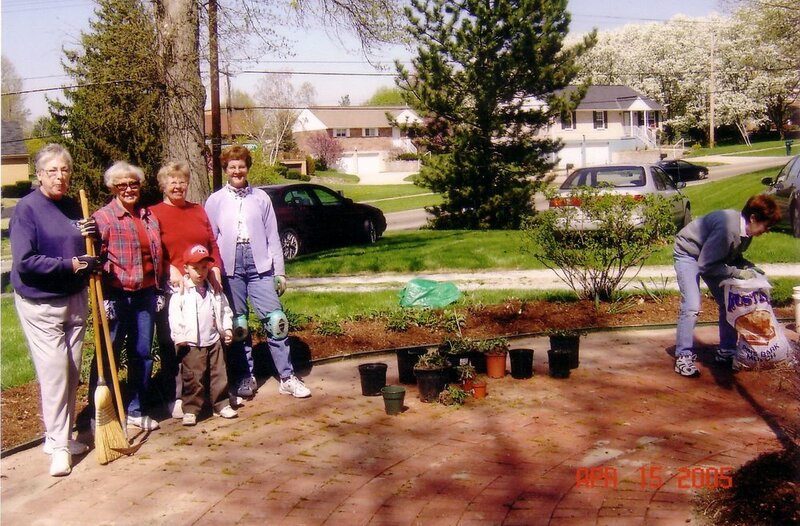 In 2003 Mary Finn, a member of the Historical Society and the Western Hills Garden Club, took up the challenge and recruited fellow members to restore and maintain the garden. Plans were drawn for the garden consistent with an “authentic” farmhouse look from the early 1900s. 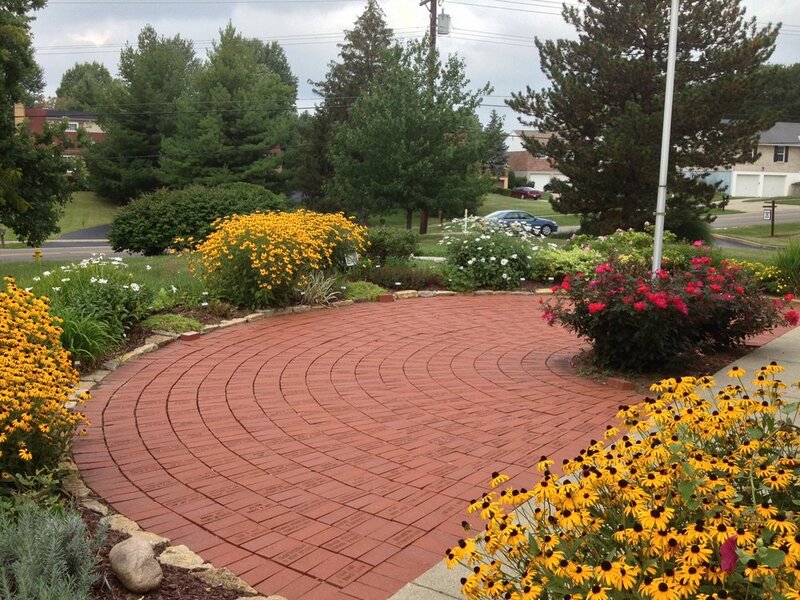 Plants were purchased and installed including perennials, bulbs, and old fashion roses to create an all-season garden. Members of the Western Hills Garden Club have been working on this project for over fourteen years. Each year approximately twenty volunteers form into groups which work in the gardens on assigned weeks. 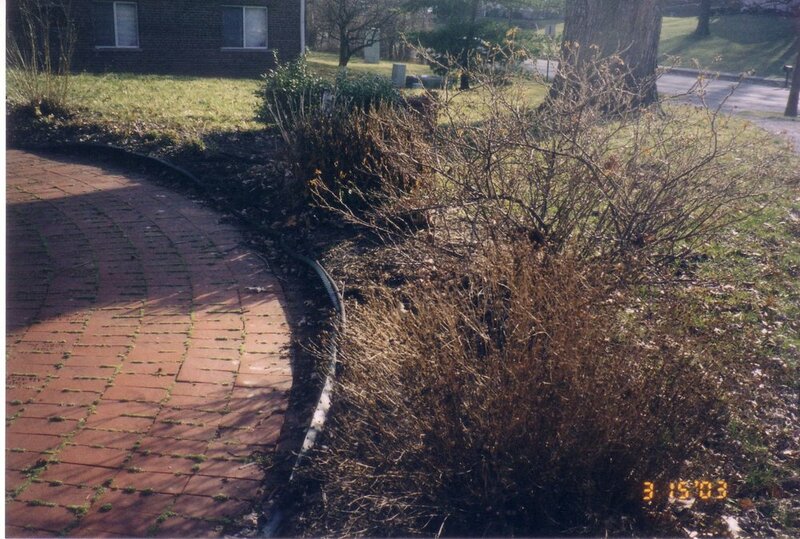 In the early spring members meet to clear the garden of leaves, cut back the plants, and weed as necessary. Later plants are replaced as needed, identification tags are updated, and the gardens are mulched. The volunteers water, trim, and deadhead the flowers as necessary. In late fall, cleanup occurs and the gardens are “put to bed.” This ongoing project reflects the spirit of Delhi, once the home of over fifty greenhouses which earned it the nickname “The Floral Paradise of Ohio”. In 2016, a Victorian Herb Garden was installed near the kitchen entrance. The research was done on the types of herbs that would have been found in a kitchen garden in the early 1900s. These types of medicinal, culinary, and aromatic herbs were planted and tags were installed to help visitors identify the herbs grown in this garden. A brochure was created listing the names and uses of the herbs and is available for all visitors. This photo shows some of the herbs gown at the Farmhouse. In 2017 WHGC members added another garden around the new sign purchased by the Delhi Historical Society. Colorful annual flowers were planted in July. In the fall, spring bulbs were added to this garden which will make a beautiful addition to the landscaping around the new sign. The Western Hills Garden Club provides most of the funds necessary to maintain the Farmhouse gardens. These monies come from club fundraisers including a Plant Sale in the spring and a Fall Harvest Sale in November. Because of the generosity of the club members, many plants have been donated. Instead of dollars, club members have invested something far more valuable – hard work and time. Besides the volunteers from garden club, members of the Delhi Historical Society are involved with the gardens. Pete Pritchard, a board member, was instrumental in the installation of the new sign. He contacted several local businesses that donated topsoil, mulch, and flowers for the new garden. These include Allison Landscaping and Robben Florist and Garden Center. The Farmhouse sits on a very busy public street, so the gardens are easily seen by many residents on a daily basis. By restoring this area, the garden club has helped fulfill the Delhi Historical Society’s objective of “Preserving the Past – Forging the Future”.